This article is designed to cover the best practices when representing a client who is involved in the purchase or sale of commercial property. 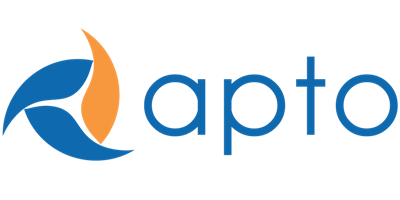 Apto has 3 primary user templates that are geared to specifically handle the day to day process of a broker tracking and closing deals in Apto. These templates are specific to 1) Tenant Representation 2) General Brokerage and 3) Investment Sales. The investment sales template uses the “Pursuits”, “Listings”, “In Contract” and “Closed Sales” tabs. The investment sales workflow moves your deal from prospecting to a closed deal in a 4 step process. “In Contract” is the stage where you complete milestones necessary in order to close the deal (ESCROW, Financing etc). The deal workflow provides you with insight into your entire pipeline of deals and where you stand with each one. Below are some best practices you can follow so that your deals move through a streamlined process within the platform. Once saved, the record will display this information and at this point you can add in your “Deal Team” (commission splits) so that you can track the potential commission earned from a deal throughout the sales cycle. As a best practice the broker should be recording all the activities on this record with the aim of building a reputation with that client/company in order to gain the representation agreement to sell their asset. In listings the broker’s aim is to find a buyer for the owner of the property they are representing. On the details section of the listing record the user can input details that relate to the sellers “Offering Summary” and develop “Marketing Activity Reports”. These reports display important items such as tours of the property, who the broker send marketing materials to and who has passed or placed an offer on the asset. These reports are generated by logging calls and recording a relevant “Marketing Phase” value for the task. The user can also track what marketing initiatives have taken place on the related “Marketing” object located on the listing by clicking on the “Related” tab. When a user begins reviewing buyers offers they can begin recording them under the “Offers” object. This object can be accessed by clicking into the “Related” tab on the record. It's always a good idea to see if your current contact database has a potential buyer that may fit the needs outlined in the listings offering summary. By Clicking the “Matching Buyer Needs” button on the top right corner of the record a list of buyers whom the user has a recorded a buyers need that fits the offering summary will display. This can give the user a quick way to generate leads to call on if they interact with potential buyers or any entity that is interested in acquiring commercial real estate. As a best practice once an offer has been recorded and saved to the listing it is now ready to move into the pending sale phase or “In Contract”. Before advancing into the next stage please be sure to check all relevant activities have been recorded and that all deal team members have accurately calculated commission splits. Also make sure that the offering summary section of the listing has been filled in so that when the deal is finally closed this data flows seamlessly through the Apto deal pipeline. In an In Contract record the user can input “Milestones” (For example ESCROW, Due Diligence etc) and associate with those milestones a kick off date and deadline date. Once saved to the record these milestones will populate on the Project Milestones Gantt View Chart section, located at the bottom of the details portion on the record. Once populated on the chart they will displayed in a color coded fashion where BLACK = Completed, BLUE = pending, RED = Overdue, GRAY = Not yet started. Before advancing to a close deal the user should enter in the Buyer Company and Contact associated with the deal. Once done this will allow this information to be brought forward into the eventual Closed Sale. Also as a best practice the user should make sure that all necessary project steps have been completed. This is done by clicking into the individual Milestone in question and clicking on the Complete checkbox. You can access the milestone record in question by either a) clicking the name of the milestone under the related tab on the In Contract record or by b) double clicking the time window in the Project Milestones chart. As seen above with converting from one phase of the deal cycle into another please click the “Advance to next stage” button in the In Contract record to progress to a Closed Sale. Once all relevant information has been entered in, the sale record is complete and the sale moves out of the organizations active pipeline. It is now stored as a reference point for the broker user to use later on when determining their opinion of value on other properties listed in the same / similar markets. One other aspect to note is that the property and its affiliated record that was sold will update with the new ownership details that shows the property has changed hands in terms of ownership.